Look for this sign in the window! You are at the right place! 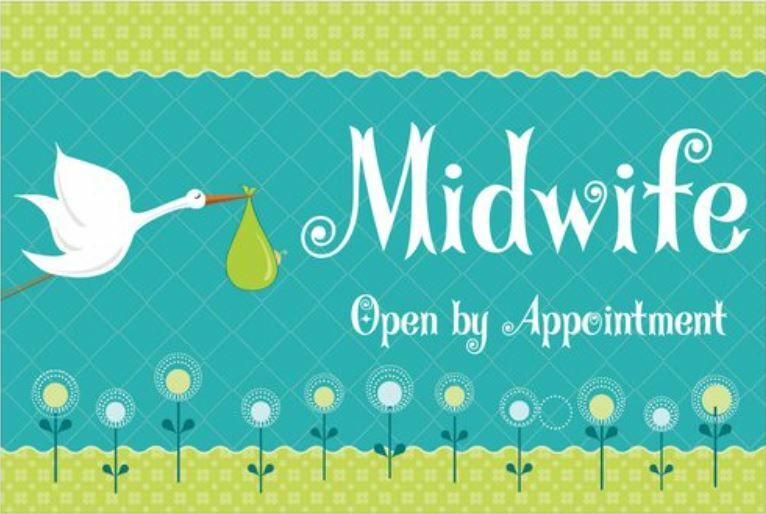 We hope you will not have to wait long for your appointment. Most days, our visits begin and end at the scheduled time. 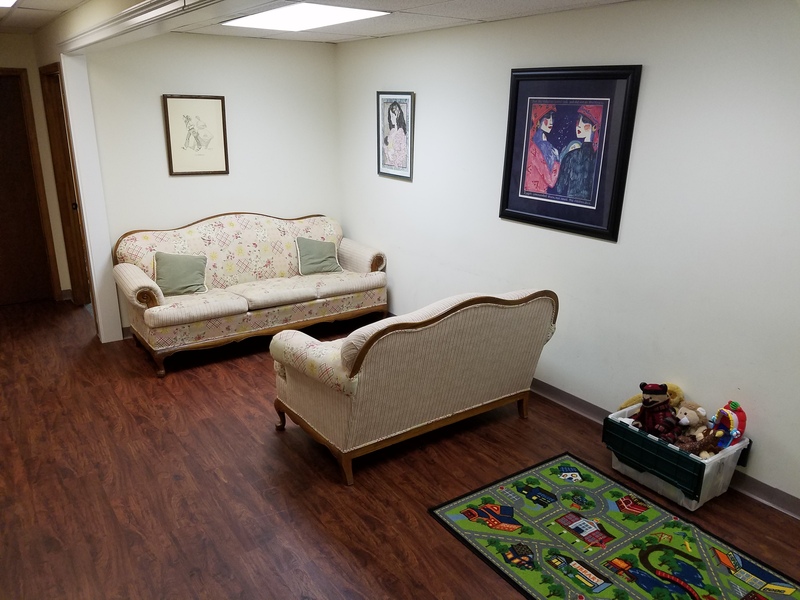 The waiting room doubles as classroom space for childbirth ed classes, breastfeeding support group meetings, and other events throughout the year. We gave our exam rooms flower names instead of numbers. 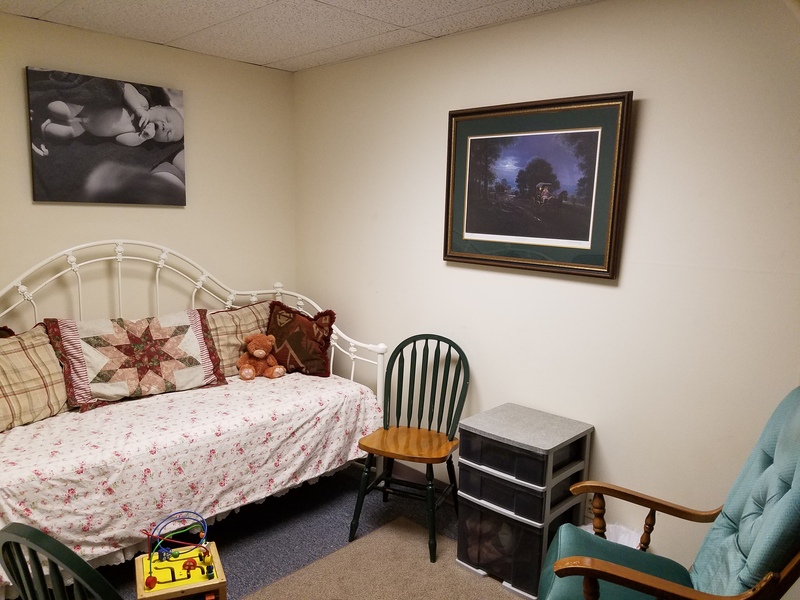 The "Violet Room" is the exam room that gets the most use. 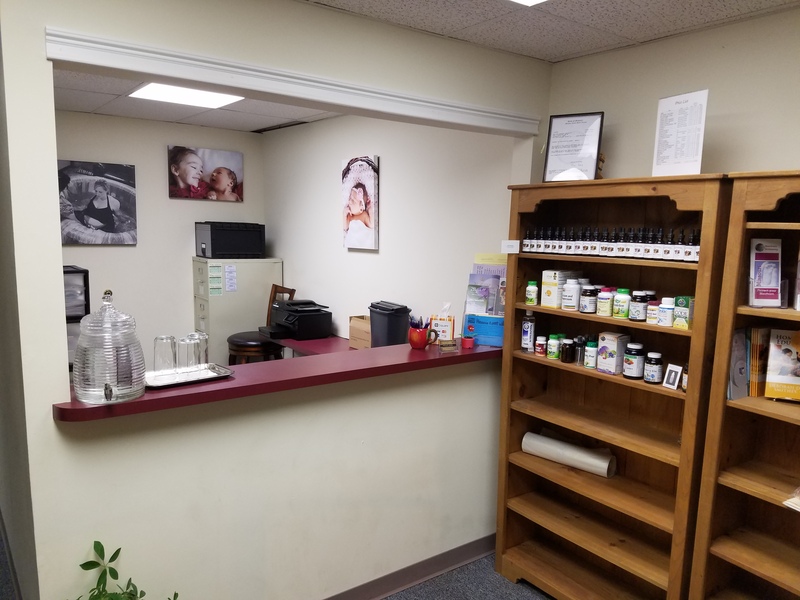 We like to use comfortable day-beds and homey furniture instead of medical exam tables and rolling pedestal stools. The "Rose Room" is nice, too! 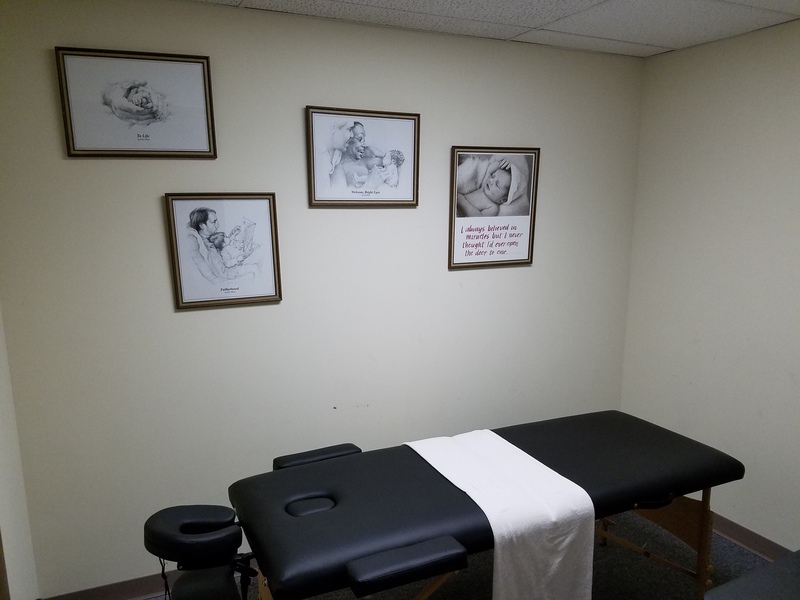 The "Carnation Room" has a massage table we use for giving midwife bodywork treatments. 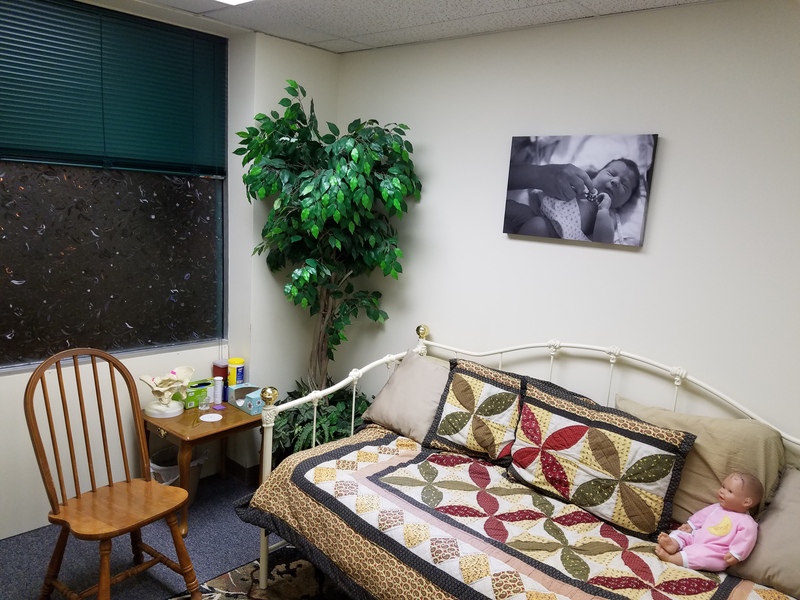 Our paperwork office doubles as an extra exam room if we have more ladies needing checkups than we have exam rooms! It's happened a couple times! 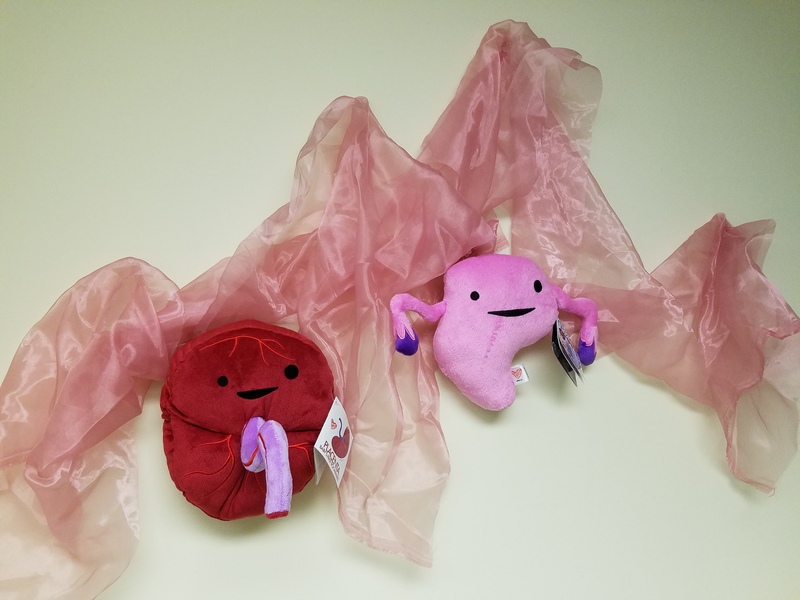 Thank you, Dana, for the cute plush organs! Thank you, Diane, for your donation of artwork!